We got to get cracking over here - but wanted to show you some stock for v-day. I will write again at the end of the day with more fun stuff and also to share with you the completed BLACKHEART MIXTAPE. 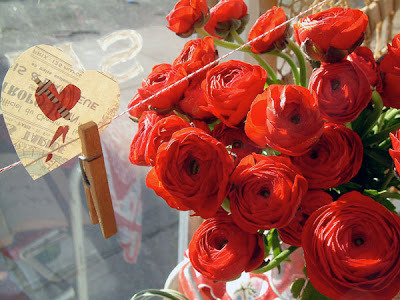 these red flowers remind me of some handmade pins by www.foundling.com. so pretty! i like your new header too. 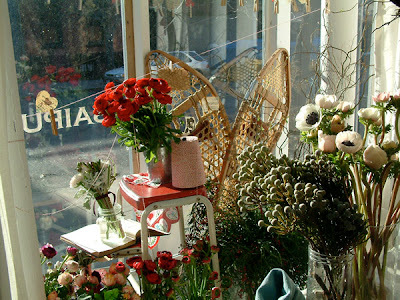 and your valentine's day arrangements are beauteous!